XRP has been added to so many worldwide exchanges in the past three months that I didn't take notice of specific ones based in South Korea. If anything, I made an unconscious note that the pacific rim was more well-covered, but I really didn't give any more weight to South Korea than any of the other countries that were being served by exchanges that support XRP. Ethereum traders also underestimated South Korea's impact. "XRP/FIAT volumes in Q2 were 21 times greater than XRP/BTC volumes in Q1. While some of this can be attributed to growth in USD and EUR pairs at Bitstamp and Kraken, the bulk of this transition was due to increased activity on Korean exchanges." We are now past the end of the second quarter and the volume from South Korea was not an isolated occurrence; South Korea has shown a massive and sustained appetite for Bitcoin, Ethereum and XRP. At the top is the total volume, roughly 170 million dollars in the last 24 hours. Then as you can see, the top three exchanges are listed. All are from South Korea. 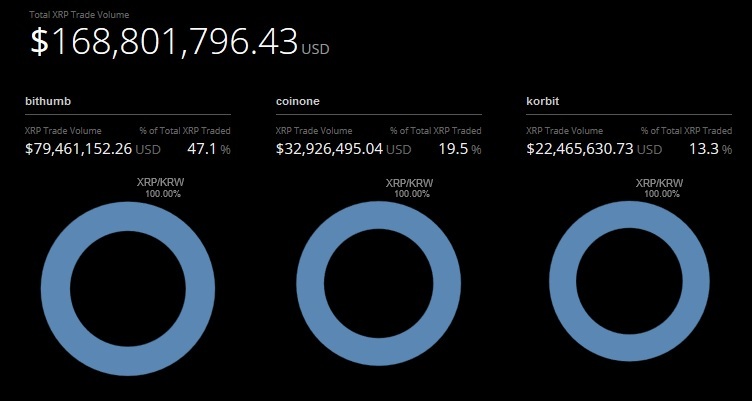 In fact, it indicates that the XRP/KRW pairing is responsible for ~ 80% of total trade value on the XRP network! In a relatively short period of time, South Korea has become the largest Ethereum exchange market with a $335 mln daily trading volume and 38 percent market share. 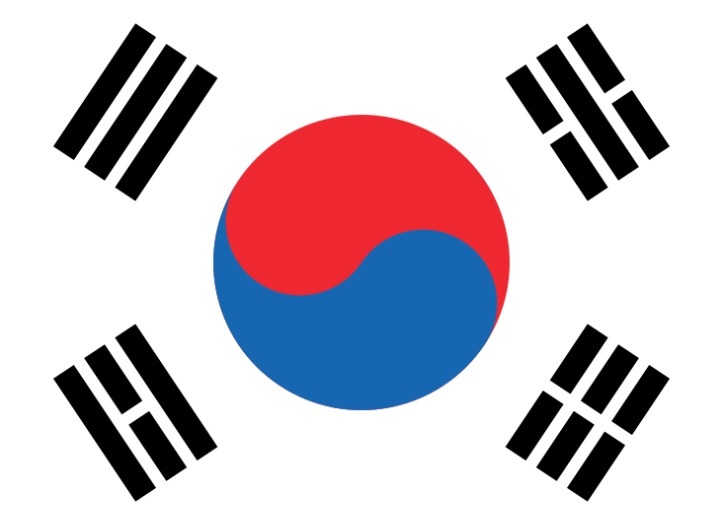 What is Driving the Crypto Demand in South Korea? It's very simple, and it is awe-inspiring: retail investors. Here in the United States, and in Europe generally, trading in crypto-currency is viewed as a novel investment instrument, managed by companies that your parents don't know. Coinbase? Kraken? These sound like video game titles to traditional investors here in the United States. Go ahead: Ask your parents if they've ever heard of them. It stands to reason that South Korea is an example of what true crypto-currency investing adoption looks like. The crypto industry as a whole has not yet reached mainstream acceptance in the West, and South Korea is one example of what true adoption might indicate in terms of economic clout. One recent Fortune magazine article speculated that the crypto-currency market might reach a trillion-dollar level. 10 As a benchmark, the entire market currently stands at approximately 100 billion. 11 This would imply that the crypto industry will grow by as much as 1,000 percent. If I know you, you are doing the math right now and probably reaching the same conclusion as me: Expand your portfolio now, before XRP goes mainstream.